We have packed up our Arabia facilities on December 16th 2016 and joined Media Centre Lume in building a new, ambitious initiative and facility at the Aalto campus in Otaniemi during the next years. While this was made public some time ago, we didn’t yet have a name to go by. Now we do. 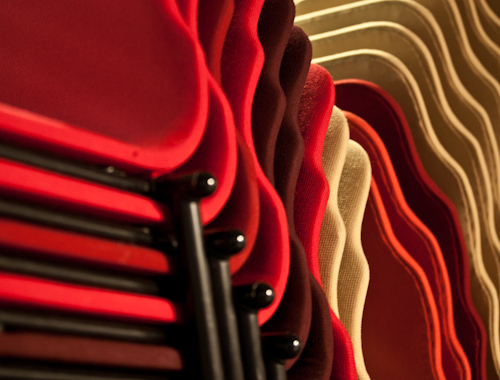 We call ourselves Aalto Studios. 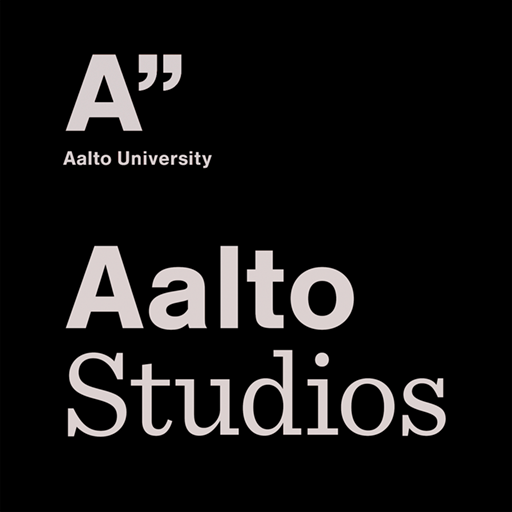 To stay up to date, make a note of studios.aalto.fi, where we’ll build up more information on what we are aiming for, and how we’re starting to plan it together with you. And be sure to like our New Facebook Page to get the latest behind-the-scenes view on our relocation and reignition for 2017! AMF seed funding is being put on hold for the time being. Regrettably Aalto Media Factory is not able to continue funding research projects this year. Seed funding has been a great way for us to support a variety of multidisciplinary research projects. We’ve been happy to see the wonderful and diverse work that has been done with the money and we look forward to seeing the still ongoing projects to be finished. You can read about the already finished projects at our Funding And Projects page. We hope to resurrect the seed funding again next year and will keep you posted on any possible changes in the matter. A good story increases the value of a product. This was the thought that provoked Artesanía para el bienestar –program. A group of artisans disclosed the stories behind their products, or created products that symbolically told stories of the place the products were born at. The extra money would help people of the community to gain access to the National Social Security System. Knowing that a percentage of the money spent on products would go to a good cause, would work as a motivation for tourists to pay a little more of the products. Every artisan in Aalto Lab Mexico had a selection of products within the Artesanía para el bienestar –program, and had them labeled with information on the amount of money that would go to the cause when the product was purchased. The aim of the program was to further the Cultural Branding -project of Aalto Lab Mexico. Artesanía para el bienestar from Antti Seppänen on Vimeo. Aalto Lab Mexico, like other Aalto Labs, strives to create means for lifelong learning and cultural exchange. Aalto Media Factory’s Seed funding was received to realize the multidisciplinary project. Aalto Lab Mexico is a collaboration project of Aalto University with Technological Institute of Monterrey, Mexico City Campus, and National Autonomous University of Mexico. The goal of the project is to create collaboration between Universities, companies and cities to work together on sociological issues. Learn more about Aalto Lab Mexico and their upcoming programs on their website. Watch Games Now! lectures on video! New food festival, Foodycle, took over Viikki and Suvilahti in September 2013. The multidisciplinary project brought together artists, designers, scientists and of course consumers, to search for the future’s food culture. The festival was built around sustainability and food culture, and the panel discussions on the 2nd day of the event had three themes: the meat production, food waste and the overall culture around food in Finland. The goal was to create a platform for discussion about sustainable food consumption. “There seems to be a big gap between practices: scientists rarely talk with designers and laypeople rarely get to talk with scientists and so on. We wanted to bring all these people together,” says Lee Seungho, who was part of the project group. The event consisted of a farmer’s market as well as food related workshops where the visitors could for example learn how to make sausages. For discussion the event included panels with participants with different backgrounds. Aalto Media Factory’s seed funding participated in realising the project. “The Aalto Media Factory funding made the workshops possible. It also gave me the freedom to really focus on this project,” Seungho says. Media Factory’s Open Call seed funding is available for multi-disciplinary projects, and can be applied for at anytime. More info on the seed funding can be found here. Interested in exploring visual programming and interactive visualizations of emotions in multi touch environment? In PACK-AGE packaging design course students get up-to-date knowledge about packaging design and packaging research and the teams are equipped with practical tools and means for managing their project work and its problems. This year’s theme is “green luxury”. The design teams have worked with new packaging solutions for chocolate, jewelry and sushi clients. Come and enjoy the results that the teams will present for the first time publicly on 17 May 2013 9:00-12:00 at Aalto Media Factory. Brunch for the quick. Welcome! PACK-AGE is an innovative packaging design course uniting design, business and engineering thinking to project-based learning. Students work in interdisciplinary teams with real packaging projects from the industry. The idea is to use student’s competences, background and prior knowledge as a resource for creative group work. The project work is supported by a wide range of theme lectures. We have 6 teachers and spesialists from 4 schools teaching packaging design from different perspectives. The Symposium delves into these complex issues. It aims at gathering existing multidisciplinary knowledge on the evolution of aspect ratios and composition of cinematic images. One of the key question deals with the role of aspect ratios in cinematic narrative and storytelling. What is the significance of aspect ratios in building depth and space? How perceptual submersion is achieved in new media? Multidisciplinary approach The symposium is open to all students, teachers and scholars. The target group includes filmmakers, new media and media technology students, professors and professionals. A document about a journey to Brazil that the students of Aalto University did. It is a story about how expectations face the reality in a foreign country. The initiative aims at exploring collaborations between creative technology and media, participatory art, and urban design communities via placemaking and urban media interventions (prototypes) that explore civic engagement. We will build -via an open hackathon organised by Aalto students- two urban media prototypes which will be explored in real life settings. This project should provide insight into the importance of major infrastrcture decisions on the future urban form and social fabric of a city by the means of data visualisation. While it would be highly desirable for the visualisation to be creative and innovative, it is far more important that it be grounded in physical reality with realistic impact estimates, and for intance not wild exaggerations, boosterism for Helsinki, bashing of Seattle. It should be possible for a person who is well educated to understand without the need for a specialized vocabulary or training in architecture, design, or civil engineering. Five concrete and creative project ideas will be developing by 8 students: a led bicycle, a sound design intervention, an audiovisual isometric map, an alternative view booth with augmented reality elements, a 3D light installation with sensors. With this application, we request that Aalto Media Factory support the initial phase of the long-term project ”Electronic digital music practice for Neuro-diverse People”. The goal for this starting grant is (a) to support development of a solid network of international partners to successfully apply for an EU-level research project and (b) to help carry out the first design and prototyping iteration of this project in order to get a solid basis in both expertise and publications for a successful large-scale project application. As a starting point for the exploration of possible shapes and materials for the hardware interface, we will focus on the use of textiles and e-embroidery. WP1 – investigative field work: The deliverables of this WP are musical recordings, workshop documentations, and, possibly with the help of the recorded material, attendances to public events and international festivals. WP3 – conceptual synthesis & instrument development. The deliverables of this WP are instrument prototypes and guidelines for the design of electronic instruments to be published at international conferences. The gaming industry is growing faster than ever, but there is also a myriad of changes affecting the scene. New target audiences, platforms and distribution channels. New business models, game mechanics and approaches to games as experiences. New roles in games companies. New connections between the games industry and other businesses. New possibilities to use games for non-entertainment purposes, and new production processes – there are lots of things happening, and the pace is growing. The Games Now! –course series is planned to be a forum where international and national speakers address these hot topics, bringing the latest knowledge for Aalto students and game industry professional alike. The perspective needs to be multidisciplinary, as the changes are affecting all different aspects of the games industry, and there are relevant topics for people of different professions. The Games Now! -course series will contain a monthly lecture by a specialist that will also be available as a web stream. Students can participate to get credits, and also people from game companies are welcome to learn and also to spark up conversations after the lectures. Apart from the lectures, there will also be some workshops on different relevant themes, also open to a limited number of students and industry people. This will create opportunities for networking, both inside the Finnish game scene, and to the international speakers. The new connections will open up new possibilities for courses also in the future. As we are aiming for top speakers and interesting topics, there might even be a chance to build a massive open online course around these lectures. Talk and discussion by Kimmo Pernu, Innovation Architect, Suunto. Combining clothing with computational capabilities immediately triggers people’s imaginations. The possibilities seem immense but going a bit deeper one soon realises that the actual implications of combining the two medium go beyond just integrating electronic devices into wearable artefacts. Being creative practitioners, we have experimented with the medium, learnt the basics, conceptualised and created novel artefacts, and engaged and shared with the community. But what comes next? How do we envision the world with soft technology- What is their relevance? What roles can they play? As designers of smart clothing how do we take wearable/soft technology design to the next level? Apply now for AMF Seed Funding! Great ideas are the root for great innovations. But great ideas do not develop into innovations without help, they need to be fertilized and fed. AMF seed funding is an action which aims to breed innovations from ideas rooted in the field of media. The AMF has earlier granted funding for the development of over 60 ideas. Among them are the PackAge courses, the Photomedia One conference, AtWink – mobile application which copies drawings from paper via pen to the web, Ruis-Reality-based User Interface System, Enactive Avatar in Feature Film Production, the Human Design or Evolution – lecture series, and many more. Proposed concepts can include technology development, business, media or art. The common characteristics for seed funded projects is that they have an interdisciplinary nature and that more than one Aalto department cooperates in a substantial manner.